Are your windows old and drafty? Do they get stuck easily or are hard to open? If so then it is time to consider a window or door replacement. New windows and doors can go a long way towards making your home more attractive, comfortable, and even energy efficient. 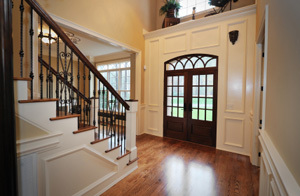 Replacement windows and doors are also a critical part of any home remodel and a very cost-effective upgrade. The experts at Dula Construction are here to help with all your window and door replacement needs. We work with leading manufacturers to install high-quality window and door solutions that will best fit your home when properly installed. Looking for an affordable way to upgrade your home? New windows and doors from Dula Construction might be just what you need. Contact us today online or at 1-855-763-9167 to schedule your free window or door replacement cost estimate in Matthews, Weddington, Indian Trail, and nearby areas in North Carolina and South Carolina! Why replace your windows or doors? 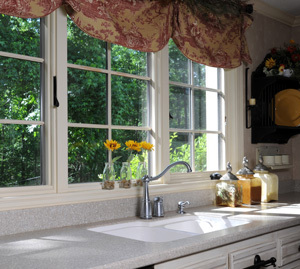 Founded in 1944, Polaris Windows & Doors is an industry leader in replacement windows and doors. They provide high quality, energy efficient systems with beautiful finishes and proven durability. UltraWeld Windows: UltraWeld vinyl replacement windows come in a variety of styles, all of which use maintenance free vinyl finishes. These windows are equipped with energy efficient glass, heavy duty locks, and lifetime warranties on the frame and sash. ThermalWeld Windows: ThermalWeld windows are the most energy efficient option available, providing a seamless window with energy efficient glass and Low-E coating. Several window style options are available. ValuSmart Windows: ValuSmart vinyl windows offer a long lasting, durable replacement window solution. Available in a variety of styles, these windows are maintenance free and come with heavy duty locks and weatherstripping, as well as a lifetime frame and sash warranty. Replacement windows and doors can do wonders for your home's value, appearance, and energy efficiency. However, even the best windows and doors will do little if they are installed incorrectly. They may even fail to operate properly or have issues with air infiltration and leaks. That's why you need to make sure your replacement windows and doors are installed by a contractor that you can trust to do it right. Dula Construction is just the contractor that you need to get the job done right. Our experts will help you find the perfect replacement windows and doors for your home and provide a hassle-free installation. Contact us today to schedule your free estimate in Matthews, Weddington, Indian Trail, Concord, Mint Hill, Gastonia, Charlotte, Huntersville, Kannapolis, Rock Hill and the surrounding areas in [state abbr!